In recent years, computational biology has been going through something of a renaissance. Despite being a field that is several decades old, the information-rich resources that are available today, in combination with modern computing powers, are enabling computational biologists to delve deeper into and explore the broader aspects of some of the most complex biological questions. It’s certainly an exciting time in the field. 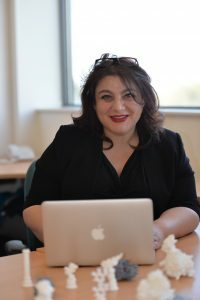 To provide those in the industry with unique insights into the future of computational biology, we asked Professor Bissan Al-Lazikani, Chair of Cancer and Drug Discovery Data Science and Head of the Department of Data Science at the Institute of Cancer Research, to present at our upcoming Drug Discovery 2018 conference (October 9th and 10th at the Excel Arena in London – (you can reserve your free place at the event here). In an exclusive preview before the event, Professor Al-Lazikani spoke to us about the current state of computational biology, how the techniques used can be employed in drug discovery research, and how the approach could ultimately serve as a weapon in the fight against diseases like cancer. Today, the amount of data we produce is increasing exponentially and biological information is no exception. In fact, sources of biological data are becoming so abundant that there can often be an overload of information for researchers and healthcare professionals, and drawing actionable conclusions is becoming more difficult. As such, computational biology has emerged as a key way to find patterns in these vast datasets in order to unlock the insights within. As Professor Al-Lazikani explains: “In the biological sciences, a technological revolution has taken place over the past twenty years. Advances such as the human genome project, accurate modelling of the human brain, and developments in molecular profiling technologies have brought with them a wealth of detailed data, and as such, a fresh avenue of exploration for computational biology.” However, with this unprecedented increase in the volume of data, we also require the application of sophisticated mathematics for analysis. An important area where computational biology and data science have risen to prominence recently is in drug discovery. This is because effective drug discovery requires a complex understanding of many disciplines – from the underlying chemistry and the diverse biological makeup of the patient population, to the biological pathways involved and the genome underpinning them. So, by finding connections between the distinct specialisms and domains of science, computational biology methods can help drug discovery scientists make more accurate decisions. How can computational biology help overcome the challenges facing modern drug discovery? Computational biology can define the risks early on in a discovery programme and help researchers select target candidates that have the lowest potential for failure. In this way, they would be able to innovate with more confidence. This approach allows testing of risk and abandoning programmes with little chance of success earlier, and before the hefty time and financial investment. Have data analysis and AI already had a positive impact on drug discovery? “Absolutely!” Professor Al-Lazikani says. “For instance, at the Institute of Cancer Research, we have developed a public resource called ‘canSAR’ to help with drug discovery. We have been able to demonstrate that by applying sophisticated multi-parametric studies, you can uncover areas for drug discovery that would have been completely neglected otherwise. A key point to note is that, if computational biology is to be used for effective drug discovery, it requires access to as many relevant resources as possible. As such, the sharing of knowledge, data, and expertise is crucial to fuel progress in the field and will accelerate innovation accordingly. Fortunately, there is a growing appetite worldwide for ‘precompetitive’ data sharing, with resources like canSAR an illustrative example of what can be achieved. However, it’s not only the Institute of Cancer Research that sees the benefit of open access resources. As Professor Al-Lazikani explains: “We are working with organisations like the Broad Institute and the Sanger Institute who have fantastic expertise in functional profiling. We collaborate with them and are working on ways to not only share data between each other, but also to combine our data into a single engine. This is so that the rest of the world can benefit from our integrated capabilities. In a recent Channel 4 interview, Dr Al-Lazikani expresses her confidence that AI and machine learning will enable more timely diagnosis of cancer and the discovery of new treatments. “Even those types of cancer that are the most challenging to cure will become more manageable through the smart adaptation of therapies to individual patients,” she adds. To this end, Professor Al-Lazikani envisions a future where “artificial intelligence methodologies are able to immediately devise the precise experiment for each particular target and inform the experimental lab. Then the AI could combine with robotics and better lab technologies to enable the validation of targets at a much faster rate than we are able to do now.” This would ultimately accelerate progress within the field. It also paints a picture that suggests a very exciting future for everyone involved in the drug discovery sector. Computational biology is just one of the topics we’ll be covering at this year’s Drug Discovery 2018 meeting (October 9th and 10th at the Excel Arena in London). To learn more about the future of drug discovery, book your free place at ELRIG Drug Discovery 2018 now.